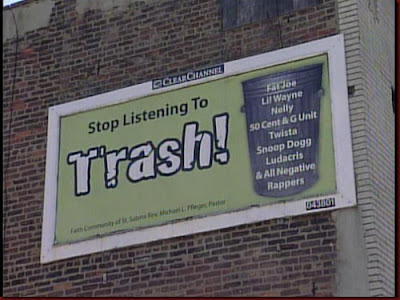 A Church in Chicago called Saint Sabina put up billboards targeting negative music and artist they deem negative. Early this week, twenty billboards went up throughout the city of Chicago denouncing artists that demean women and perpetuate violence. Some of the billboards are already posted.